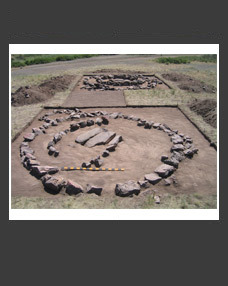 The paper makes accessible to academia three dated finds of zmeeviks, i.e. 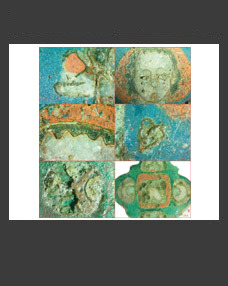 amulets bearing an image of a snake, found in Velikiy Novgorod: an amulet featuring the saints Boris and Gleb, an amulet depicting Holy Virgin Eleusa and an amulet with an image of Crucifixion. The ambivalent pictorial formula of zmeeviks ac­counting for their particular place among medieval amulets is emphasized. The conventionality of identifica­tion of the obverse and reverse sides of zmeeviks precludes the distinction of the main and secondary image. 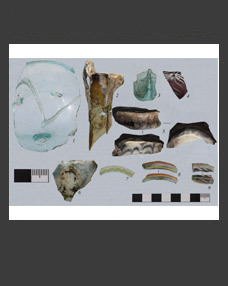 The early date of Boris and Gleb’s iconography is substantiated and the data on zmeeviks recovered from burials are summarized. Keywords: Velikiy Novgorod, zmeevik, Boris and Gleb, Holy Virgin Eleusa, Crucifixion, ambivalent icono­graphic formula, dating, zmeeviks in burials.